Cycling around Currumbin is now easier with the completion of a vital missing link in the bikeway network along Thrower Drive from Duringan Street to the Gold Coast Highway. The $300,000 project includes upgrading shared paths and road crossing points near Palm Beach Currumbin High School to improve safety and encourage walking and cycling to school and is jointly funded by City of Gold Coast and Queensland Government. Mayor Tom Tate said the Gold Coast was one of the most cycle-friendly cities in Australia. “We already have more than 1000km of pathways and bikeways and this year the City is investing more than $4.5 million in further improvements and upgrades to pedestrian and cycling infrastructure,” Cr Tate said. Main Roads, Road Safety and Ports Minister Mark Bailey said the project was awarded $150,000 in state funding through the Cycle Network Local Government Grants program. “This is part of the Queensland Governments’ commitment to working with Local Government to provide safe and connected cycling facilities in South East Queensland,” Mr Bailey said. The on-road bicycle lanes provide visual separation between cyclists and cars and raise motorists’ awareness of cyclists on the roadway. The project includes green bike lane treatment at the intersection of Duringan Street and Thrower Drive and Sarawak Avenue roundabout. 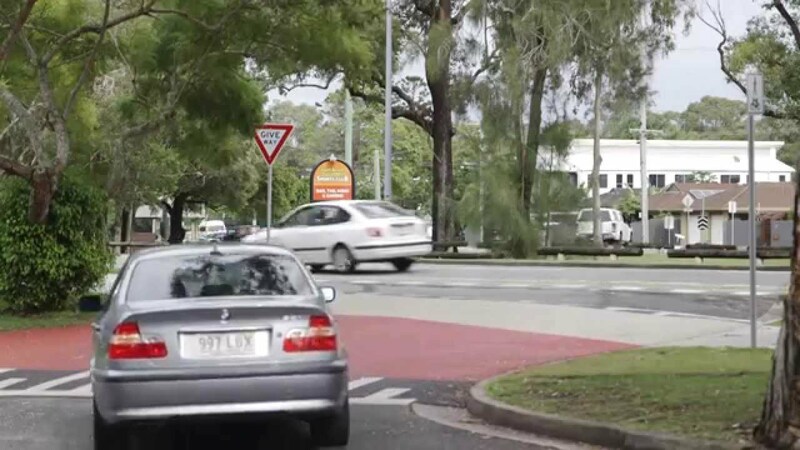 Raised crossing points at the Palm Beach Currumbin High School will help reduce vehicle speeds to improve safety and highlight to motorists that they are required to give way to pathway users at or near intersections under Queensland road rules. The Mayor said the work would create a safer crossing for all users, including those in wheelchairs, pram users and off-road cyclists. The City’s recently released Road Safety Plan, a landmark outcome of the broader Transport Strategy 2031, aims to reduce serious injuries from road accidents by 30 per cent between 2010 and 2020. To do this, actions including infrastructure upgrades are being undertaken to achieve a real reduction in road accident trauma. The City hosts free cycling workshops year round for residents to help improve rider safety for beginners and people new to, or rediscovering cycling. For more information or to book a workshop visit www.cityofgoldcoast.com.au/activetravel.